Emirates is gearing up to launch the world’s first ‘biometric path’ which will offer customers a smooth and seamless airport journey at the airline’s hub in Dubai International airport. 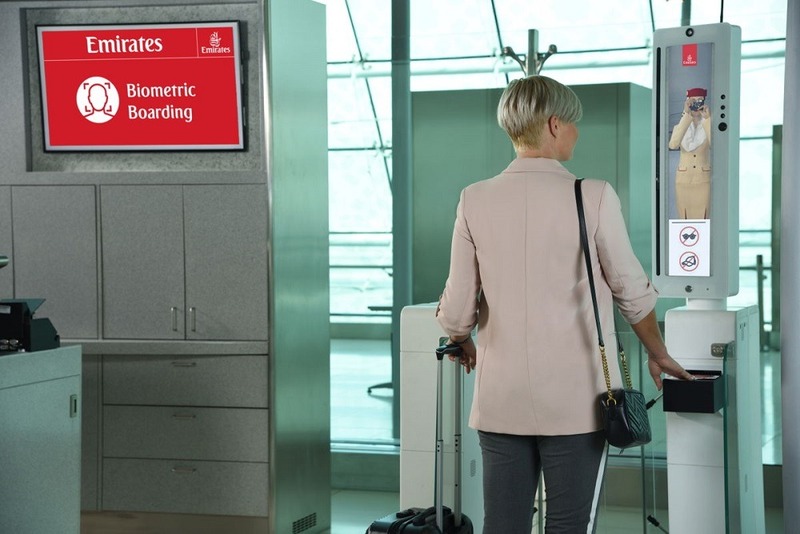 Utilizing a mix of facial and iris recognition, Emirates passengers can soon check in for their flight, complete immigration formalities, enter the Emirates Lounge, and board their flights, simply by strolling through the airport. Trials for the Smart Tunnel, a project by the General Directorate of Residence and Foreigners Affairs in Dubai (GDRFA) in collaboration with Emirates, was launched on October 10. It is a world-first for passport control, where passengers simply walk through a tunnel and are ‘cleared’ by immigration authorities without human intervention or the need for a physical passport stamp. The airline’s ‘biometric path’ will cover departures, arrivals, transit, chauffeur drive connections, and lounge access in Dubai. Initially focused on First and Business class travelers, Emirates intends to speedily extend the ‘biometric path’ to Economy class travelers in Dubai, and in the future potentially to other airports outside of Dubai, and also for its own dedicated crew check in facility.